One of the most appealing parts about the Motorsports industry for me is the travel. When you’re a single 25-year-old with no one depending on you but yourself, the decision to leave for weeks at a time is an easy one. I’m lucky that when my work calendar says that we have three back to back events on the west coast, you know I will be at the airport ready to go. 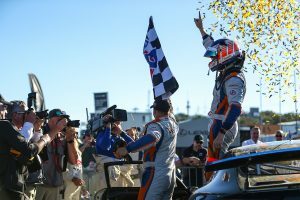 Between the various clients I get to work with, the Verizon IndyCar and IMSA WeatherTech SportsCar Championships series took me out west for three weeks straight this September. 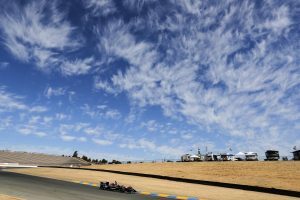 First up on the list, IndyCar at Portland International Raceway. I’ve been lucky to have visited the majority of the events on the race schedule, but Portland was a new one for me. My first impression was amazement at how short the track was. With IndyCar running laps times that were just 59 seconds long, I knew it would be an interesting weekend. 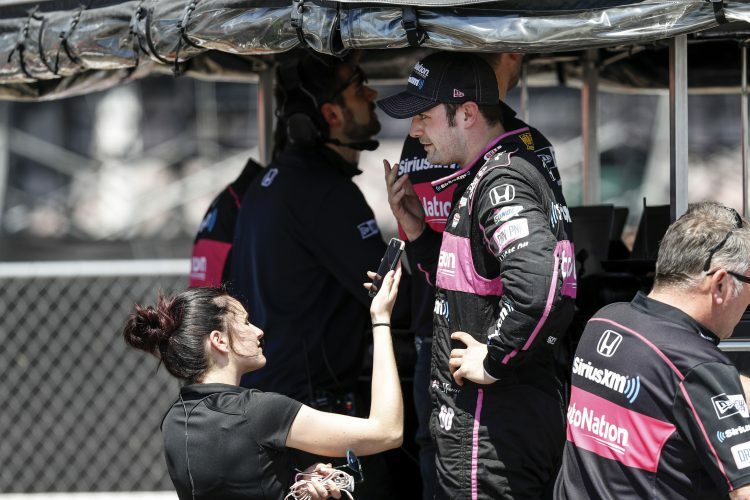 Working with Meyer Shank Racing’s (MSR) IndyCar on top of its IMSA program has exposed me to a whole new side of racing. The competition is second to none which puts some added pressure on the team. But these guys and the team’s driver, Jack Harvey were fast out of the gate. 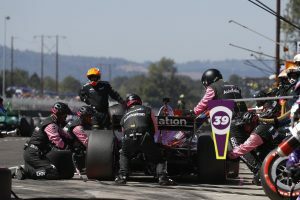 Finishing off the final practice session in the top five was an exciting feat that truly showed how the team’s hard work paid off – and only after four races! Getting to spend so much time with the MSR crew really made me attached to their success and this weekend was special to see how far they came in such a short period of time. Once the race weekend was over, I took a look around and realized the beauty of the place I was in. After spending four years in Colorado, I am a total mountain girl, so I knew that I needed to take advantage of the scenery. 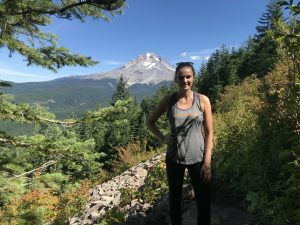 I spent Monday exploring nature around the Mount Hood area and doing some hiking and sightseeing which was incredible. Looking to the next event I was headed to Monterey, California for the IMSA weekend. Flying down to California from Portland would simply be too boring and easy. So I decided to take a road trip along the coast in my Ford Focus – which I thought would be a solid rental option until I realized how out of alignment the car was. But oh well, I embraced the rough road and white knuckling the steering wheel and spent two days seeing the Oregon coast (I highly suggest this trip) until I got to the Monterey area. 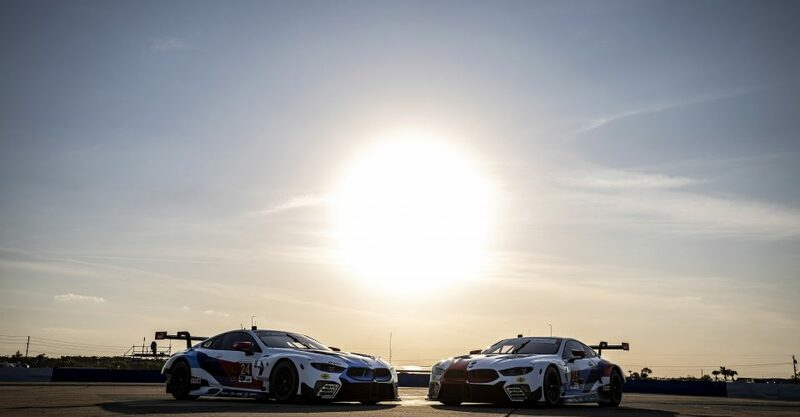 Laguna was one of those unexpected race weekends that couldn’t have gone more perfectly. I like to think that I am a lucky charm, but the two teams that I work with have some impressive skill that they showed the world that weekend. 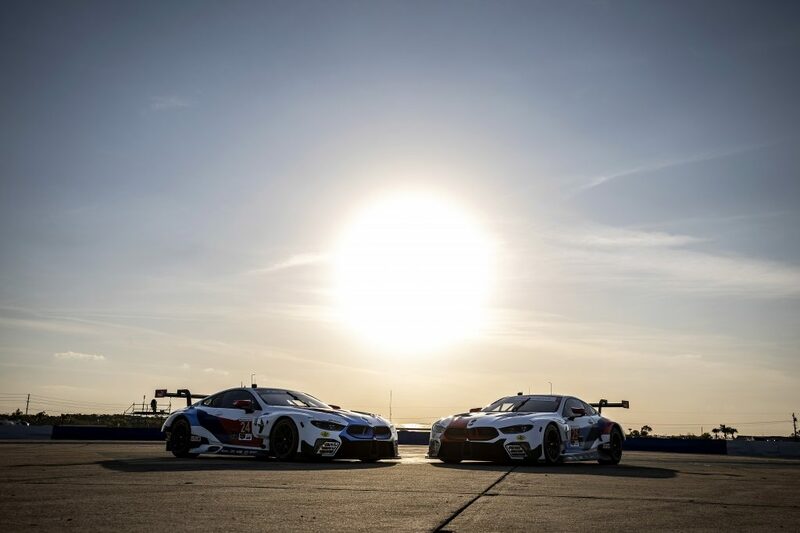 My race day adventures started off with MSR earning its first pole position of the year and also setting the new GTD track record – which was a boost of confidence as the team sits just a few points out of the championship lead. 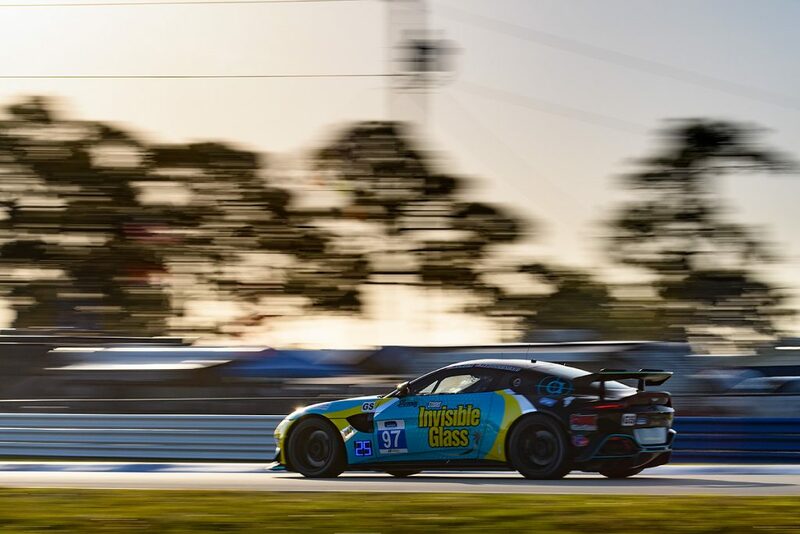 Once qualifying was over it was time for the Continental Tire SportsCar Challenge race where TeamTGM scored its third win of the season. 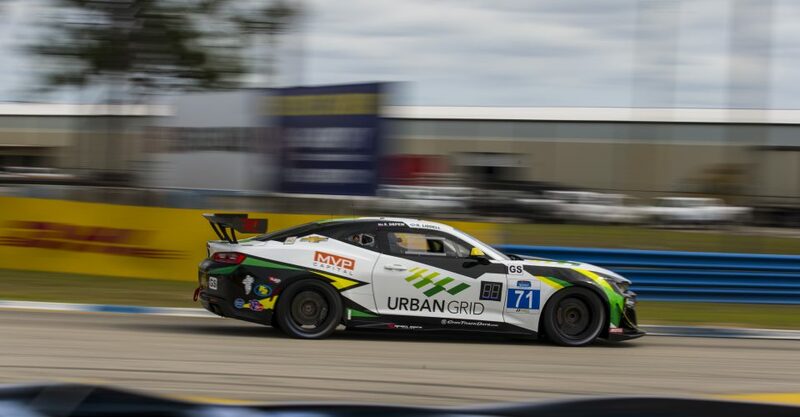 If you have not seen the last lap of this race, then I encourage you to go click to this link (https://www.youtube.com/watch?v=kBQqfZO5E-I&feature=share), minimize this browser, and watch it NOW. 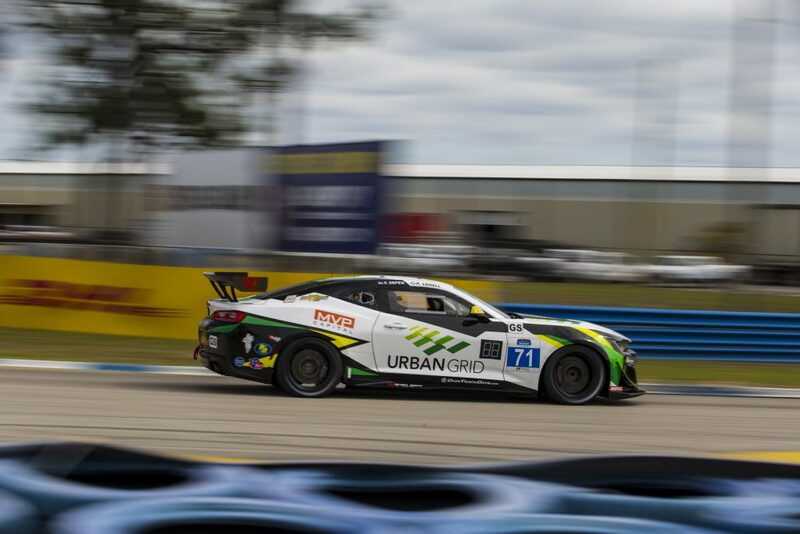 After the race weekend, TeamTGM is 31 points in the championship lead! With a pole and a race win in the books it was down to the WeatherTech race on Sunday and would you believe that MSR won that race too? I don’t think I could have asked for a more perfect weekend personally and it makes it pretty special when two of your clients are right in the battle for their individual championships. One final race weekend was left to close out my three week west coast adventure. Spending some time in San Francisco in between events kept me grounded before heading up north to Sonoma for the IndyCar finale. Sonoma was yet another track that I have never been to before and boy was I impressed. 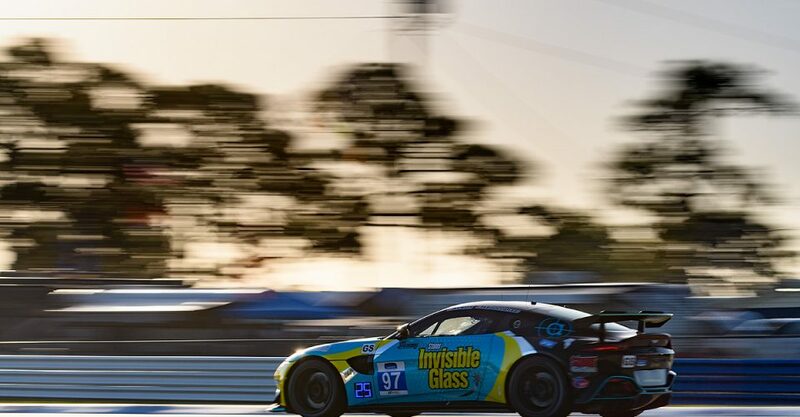 Can you think of a better combination than wine country and racing? The IndyCar finale brought a new sense of excitement to the table. And even though MSR wasn’t in the championship, it was our own personal accomplishment of finishing out our first IndyCar season. Even though the weekend didn’t go as well as we had hoped, we still finished the season strong and were only hopeful for what was to come in 2019. My three week adventure was officially over and I don’t think it hit me until I was sitting on the plane home. It was bittersweet to leave, but my own bed and the gym (I ate a lot) was calling my name. If you ask most people how they would feel if they had to work for three weeks straight with no days off, the majority of people would probably run for the hills. But for me, send me to work for three weeks straight and you bet I will be there and enjoy every minute of it.